Lightly grease a doughnut (or muffin) tin and preheat the oven to 350˚F. Fill each cup 1/2 to 3/4 full with a piping bag. It’s important not to overfill, or as the doughnuts rise, you’ll lose the hole. Place the chopped chocolate in a medium bowl. In a small saucepan, heat the cream until it is just about to boil. Pour the cream over the chocolate and wait 1 minute. Whisk until smooth. Whisk in the butter. Keep mixture warm. 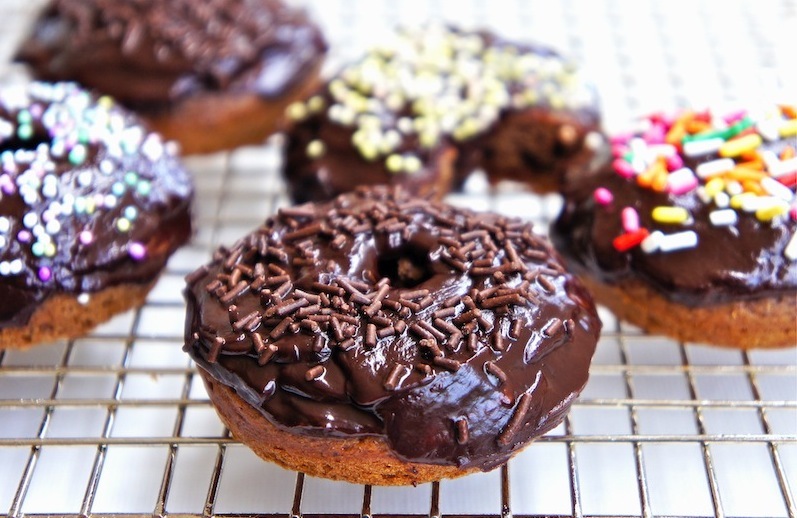 Great recipe to make donuts. They look delicious. 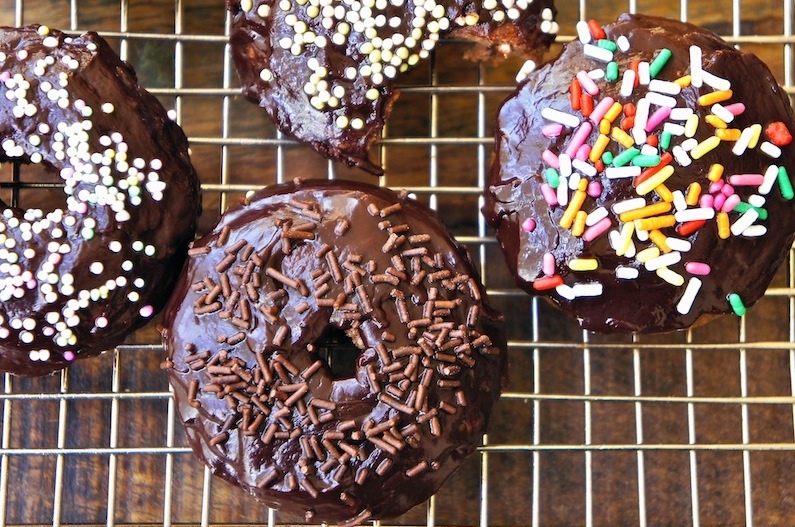 Baked chocolate donuts - yum!